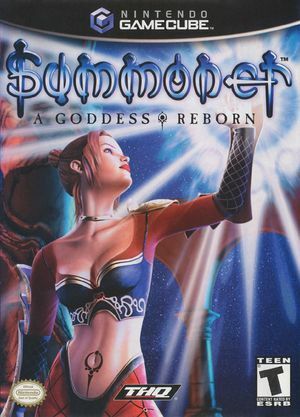 Summoner: A Goddess Reborn (known as Summoner 2 on PS2) is an action RPG for the Nintendo GameCube. The player takes on the role of Maia, a goddess reborn with the extraordinary ability to turn into powerful guardians, or summons. Maia must heal the legendary Tree of Eleh, the source of Aosi, the language of creation. Along the way, she meets a host of characters, including Yago from the original Summoner game. The game randomly freezes when playing with DSP HLE emulation. Use DSP LLE recompiler instead. The game randomly freezes in cutscenes like the Palace of Halassar or Entres of Sepulchre. Reducing the CPU clock to 10% (47Hz) seemed to resolve the issue. Save before cutscenes and reduce the CPU clock. It's very inconvenient but the only way to play with this problem. Alternately use a much earlier build of Dolphin; r7670 works flawlessly, no lagging or crashes. The graph below charts the compatibility with Summoner: A Goddess Reborn since Dolphin's 2.0 release, listing revisions only where a compatibility change occurred. This page was last edited on 13 April 2018, at 22:29.